Hello guys! I just found out a very interesting fashion blog - The Garven http://thegarven.com/culture/. It's a blog about fashion, style, celebrities, art and culture. On the blog we can find many interesting articles. Who doesn't like to know the latest news from the fashion world, based on the newest trends!? If you are interested in celebrity news, there are the latest news from Hollywood. 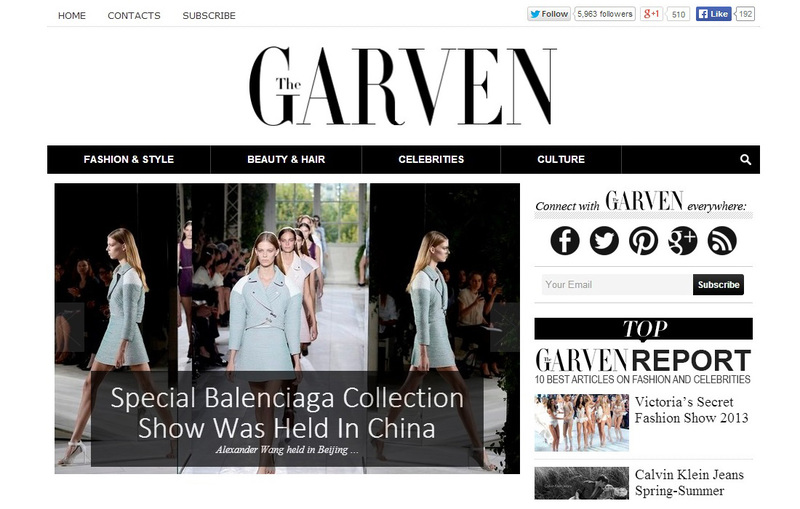 The Garven is a fashion blog/magazine online. I do not know about you, but I read a lot of fashion magazines online. In this way, I am usually among the first to find out the latest news from the fashion world and Hollywood. Of course, this does not exclude the purchase of Vogue, Glamour and Cosmopolitan printed editions. 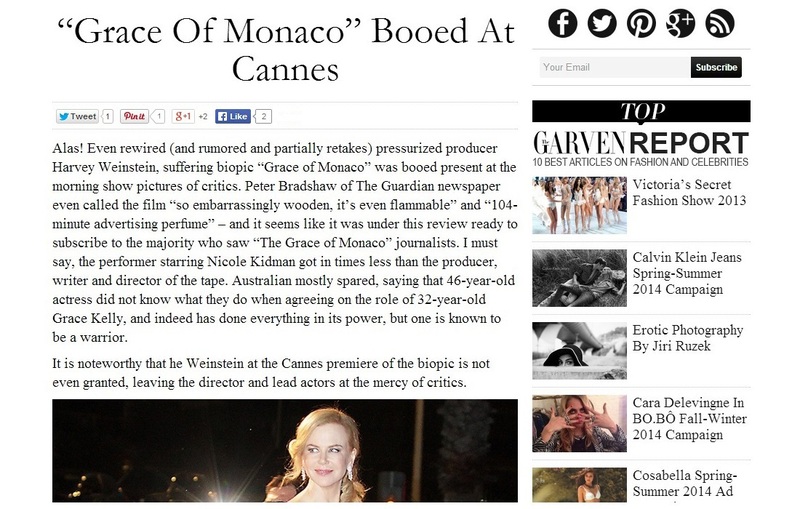 I've chosen three very interesting articles from http://thegarven.com/culture/: Grace of Monaco booed in Cannes, I have to go see a movie at the cinema, so I will give you my honest review of this film. 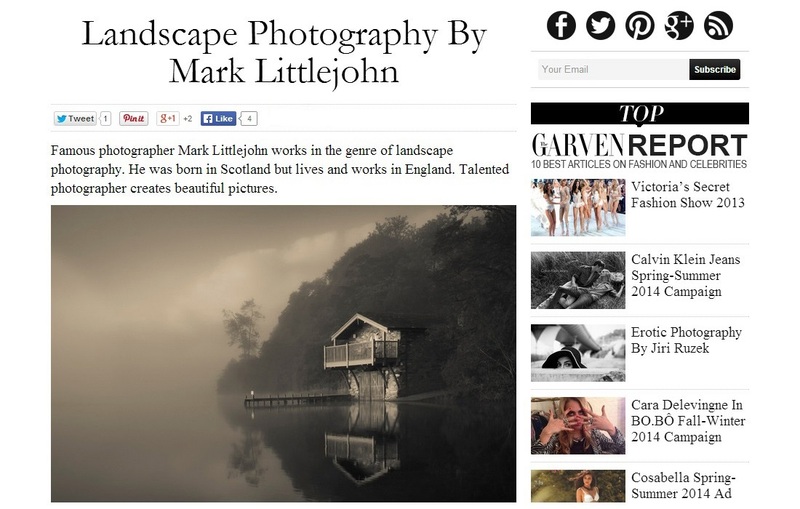 The article of Landscape photography by Mark Littlejohn is so beautiful with lots of high quality photos. The luxury hotel Lautsala at a private island in the archipelago of Fiji, is full of breathtaking photos, I am starting to plan my next holiday. However guys, check out The Graven - a fashion blog/magazine online, I am sure you will love it! Who knows, maybe in the future we will have a chance to buy it in the printed edition. Looks like an interesting blog! Looks like a great blog, I love the name! If there is one wish I would do, this is to travel to places like these. 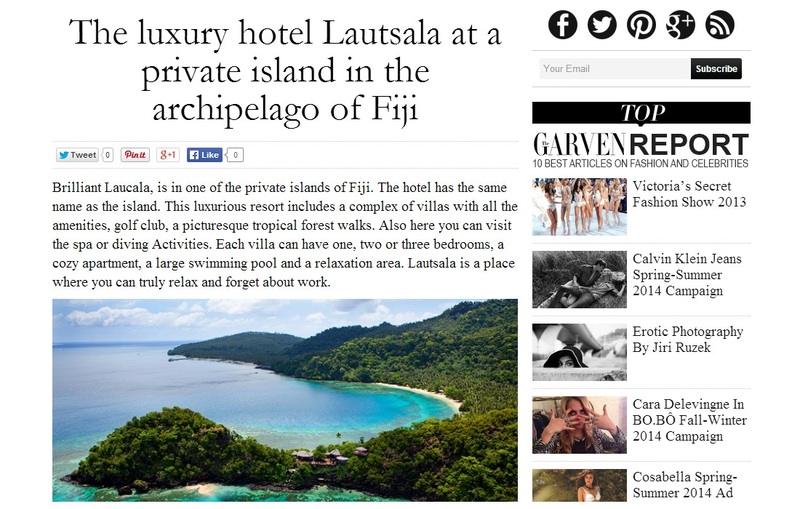 and see the lifestyle of the Fiji. Sounds like a interesting blog.hope to see your next port soon. Your post is good ,hope to see your next post! This is really a useful information, of course can save money from purchasing Vogue, Glamour, etc..